Your wedding guests will love receiving a goody bag filled with treats. These sweetie bags are perfect for candy buffets, ready to be filled with edible treats to keep them occupied during the wedding meal. 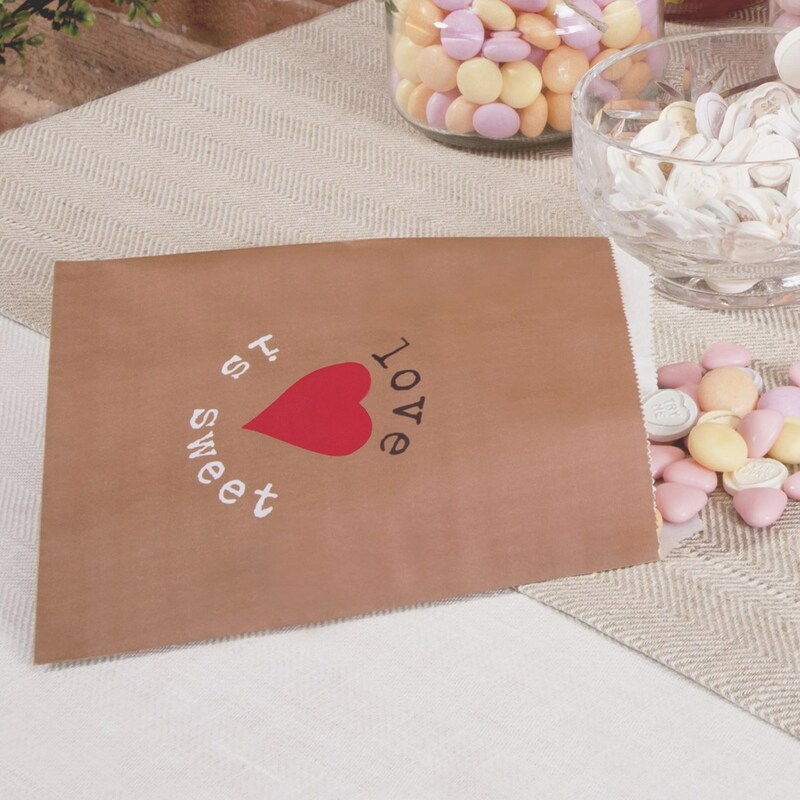 Made from durable paper, these bags echo the style of old-fashioned paper bags, and have a zig zag rim and central love heart motif, accompanied by the text "Love is Sweet". Ideal for candy buffets or for offering to younger guests during your wedding day.